Two weeks of cloudy, rainy September weather across Georgia have put something of a damper on what was promising to be a bumper crop of pecans, leading to a “mixed situation” for Georgia growers this fall. According to Thomas L. Mason, chairman of the Georgia Pecan Commission, that while these environmental factors have affected commercial pecan orchards across the state, not every variety of pecan showed quality loss. The 10 to 14 days of dreary weather in September are leading Dr. Lenny Wells, Extension Horticulture Specialist for pecans at the University of Georgia, to revise predictions of 100 to 120 million pounds estimated earlier in the growing season. Now Wells is forecasting a Georgia crop of approximately 80-to-100 million pounds. Georgia usually averages 100 million pounds annually. Early forecasts were based on the heavy nut load on the trees and larger-than-normal size nuts, but the less-than-ideal weather in September affected the trees, which grow 66-130 feet tall and can live for 100 years. Like most crops, pecans face a variety of conditions that can affect quality, but growers have become increasingly knowledgeable about crop management, says Mason. “Unfortunately, lack of sunshine is not something we can control,” says Mason. “We know some growers may be disappointed that they will not realize the huge crop originally predicted, but the Commission expects a normal-sized harvest for Georgia.” Georgia produces approximately one-third of the U.S. pecan supply annually. According to the UGA Center for Agribusiness and Economic Development, Georgia ranks No. 1 in the country for pecan production with more than 145,000 acres of pecans grown in 2013, accounting for more than $315.5 million in net value. 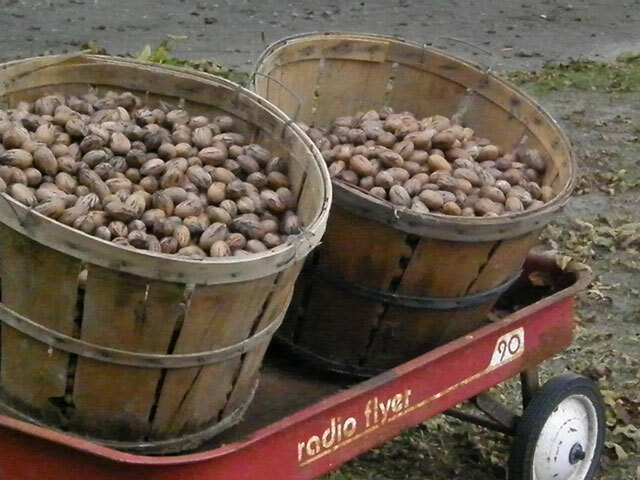 Pecans are the only native tree nut grown in the U.S., and 80 percent of the world's pecan production is located here.